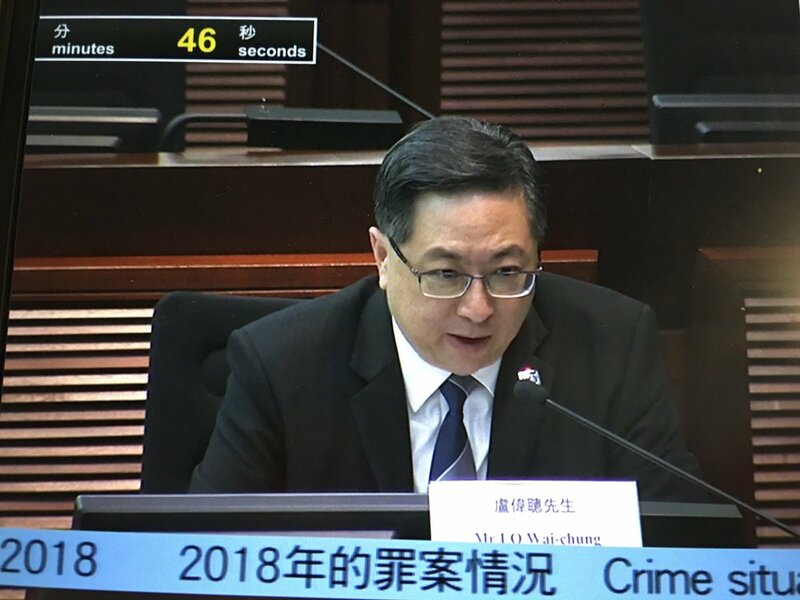 China acknowledges having contacts with the opposition: "We are prepared to work with all parties"
President @realDonaldTrump is meeting with Liu He, Vice Premier of China. In Oval Office, @POTUS reads letter from China President Xi which says he hopes both sides will meet each other half way. [email protected]: ..China's representatives and I are trying to do a complete deal, leaving NOTHING unresolved on the table. 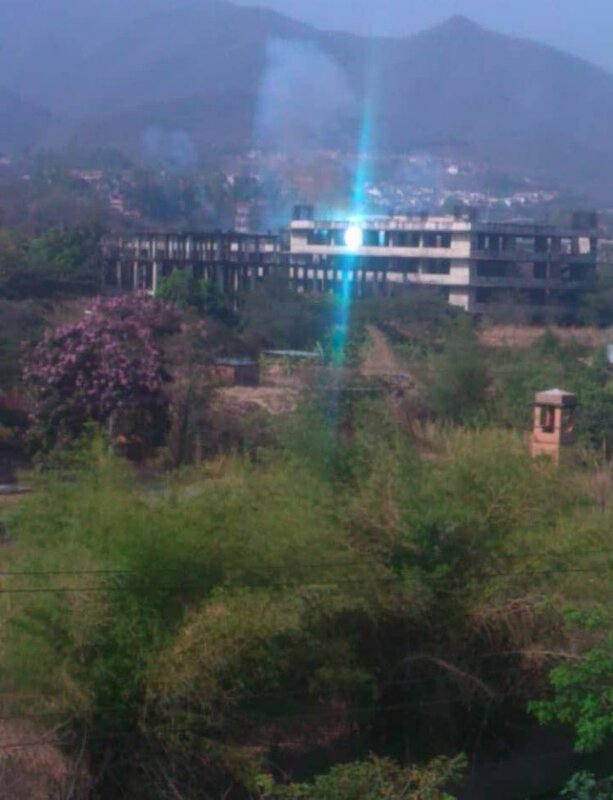 All of the many problems are being discussed and will be hopefully resolved. Tariffs on China increase to 25% on March 1st, so all working hard to complete by that date. 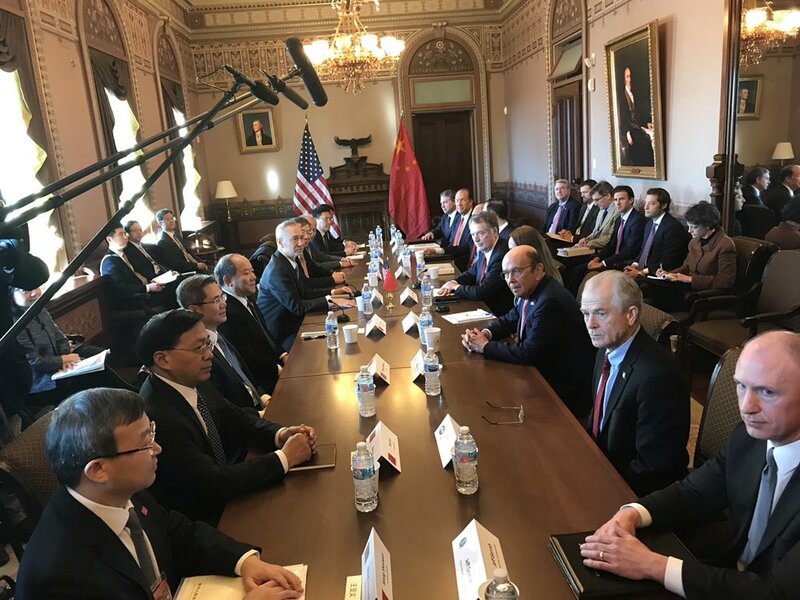 [email protected]: China's top trade negotiators are in the U.S. meeting with our representatives. Meetings are going well with good intent and spirit on both sides. China does not want an increase in Tariffs and feels they will do much better if they make a deal. They are correct. I will be..
U.S., China take the lead in race for artificial intelligence: U.N.
Uniformed Secret Service officer injured and pedestrian arrested after incident involving a motorcade carrying Chinese officials in D.C. 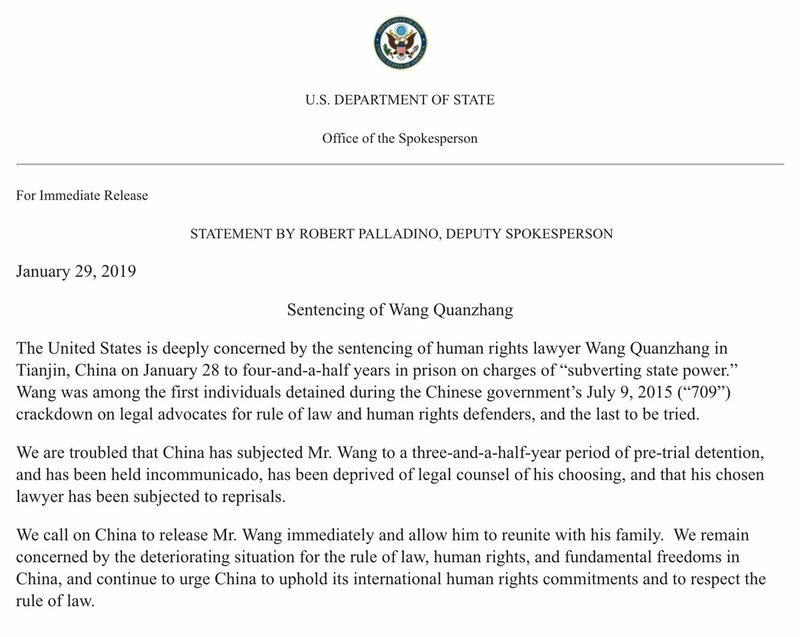 The U.S. is deeply concerned by the sentencing of human rights lawyer Wang Quanzhang and the deteriorating situation for the rule of law and human rights in China. We call on China to release Mr. Wang immediately and continue to urge China to uphold its int'l human rights commitments. 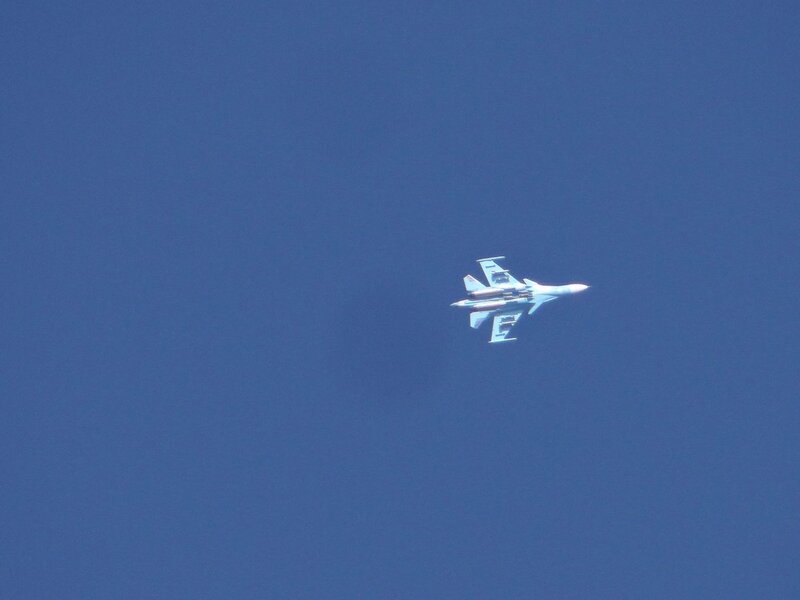 Space threats - "China and Russia will continue training and equipping their military space forces and fielding new anti-satellite weapons" warns @ODNIgov Dir Dan Coats "Space has become the new global frontier"
DNI Coats: "China's actions reflect a long term strategy to achieve global superiority." ChinaTech: China will send 10 BeiDou satellites through seven separate launches this year, which will help complete the BeiDou Navigation Satellite System global network by 2020. Beijing will "firmly defend" its companies, said foreign ministry statement read on the state-run TV news. US indicts Huawei for economic espionage and collusion with Iran. Acting US Attorney General @MattWhitaker46 announcing 10 federal crimes against two affiliates of China telecom giant @Huawei. "They're a totally separate process" says @PressSec in response to my question of criminal actions about to be announced by US on @huawei and this week's trade talks with China. 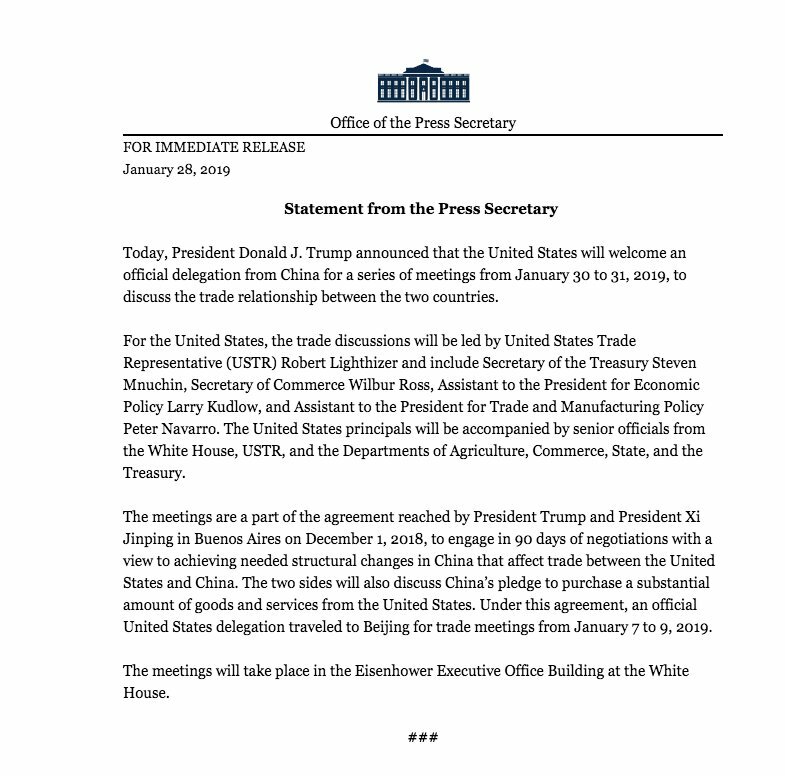 White House says they will "welcome an official delegation from China for a series of meetings from January 30 to 31, 2019, to discuss the trade relationship between the two countries."